Local business owners and agencies alike struggle with understanding what truly moves the needle for local rankings. We wrestle with the same issue. 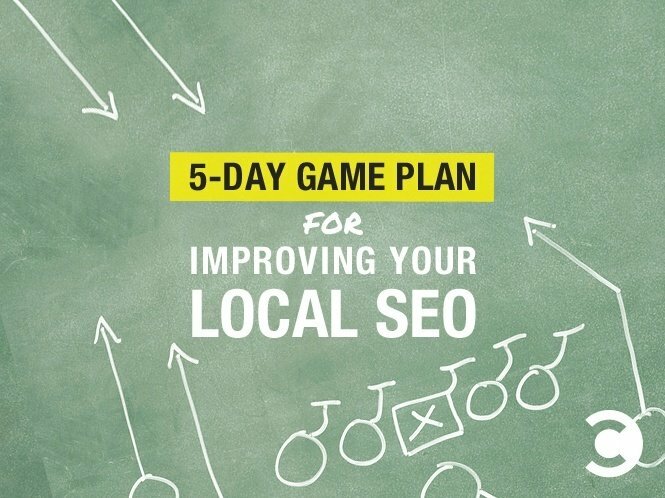 Because of that, we have constructed a five-day game plan for how a local business can triple impressions in a workweek. A survey done by Brightlocal asked customers, “Do you read online customer reviews to determine whether a local business is a good business?” 88% responded that they have read reviews to determine the quality of a local business (vs. 85% in 2013). Reviews are essential for local businesses, and with the local pack carrying more and more influence across queries (local or not), having reviews on your Google My Business page is essential. Unfortunately, businesses so often settle to have reviews solely on their Yelp page. 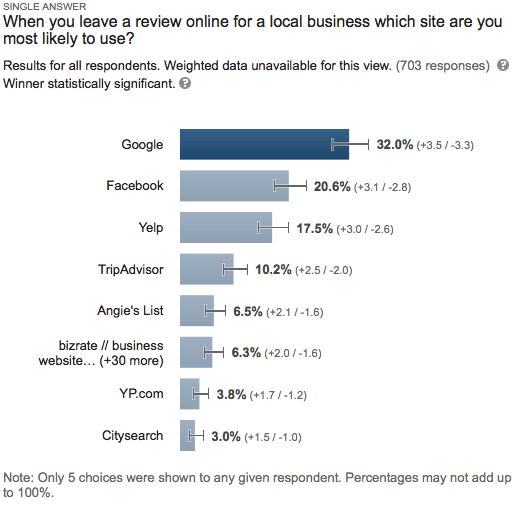 While Yelp is great, Google My Business and Facebook are also essential. Subject: Hey ___! We Have a Quick Favor. I have a quick favor. We are trying to get our reviews up on Google+. Is there any chance you could leave us an awesome review? It’ll only take a few minutes and we’d really appreciate it. It would be greatly appreciated, and I hope you have a great weekend! Take a day to go through your clients, people who attended your events, and partners and get your reviews. Wait a month. 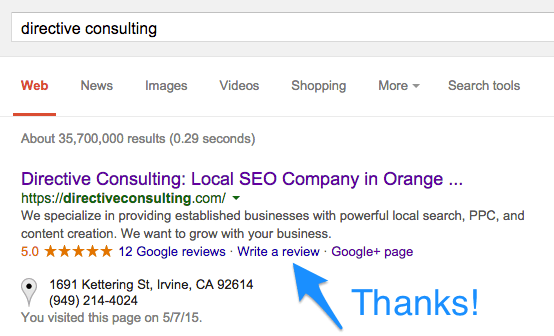 After you have gotten your reviews for Google My Business, go back and get them for Yelp. Rinse and Repeat for Facebook as well. Each page only gets one keyword. Keyword stuffing is so 2004. Each landing page has a keyword and location in the URL, title, and H1. To begin optimizing your pages, go to your Google Webmaster Tools and analyze what queries are getting the most impressions. Then, prioritize the pages targeted towards these queries and optimize. 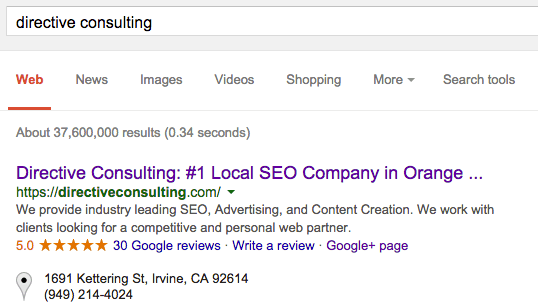 Local directories send a massive signal to Google’s search engine. It lets them know that you are in the area that you say you are in. If doing this yourself seems like a daunting task, there are tools such as Moz Local, Yext, and BrightLocal that can take care of this for you. Link building is not dead. I repeat: link building is not dead. In the local search landscape, there is no quicker way to impact organic rankings than to build relevant links. Step 1: Take an inventory of your business partners: friends, distributors, wholesales, suppliers, chamber members, etc. While it seems basic, we have found that business owners understand and like this directory format and are willing to show off their partners in return for organic leads and referrals. Furthermore, most partners are local to you. Thus, you are not only popular in Google’s eyes, but you are now also the hometown hero because all these websites in your area are linking to you. Locally relevant content rocks. This can be the most powerful form of local marketing for our clients. People love their area. 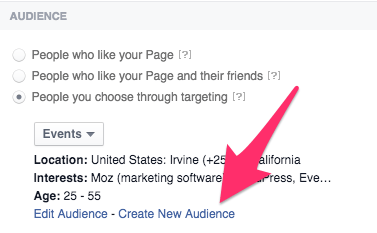 Step 1: Identify your audience. In the case of a coffee shop, it might be twentysomethings. If you are the first coffee shop that comes to someone’s mind when they are in the area, you will have a higher propensity to rank, provided you did your work from the first four days. Garrett Mehrguth is the Owner of Directive Consulting. Garrett regularly writes for thought leaders in the industry and enjoys teaching on all things digital marketing. When not running Directive Consulting, you can find him surfing or hanging out in the ocean.